Train travel within Nottingham. Connecting rail services across the county. Train travel is an important part of Nottingham’s transport network. 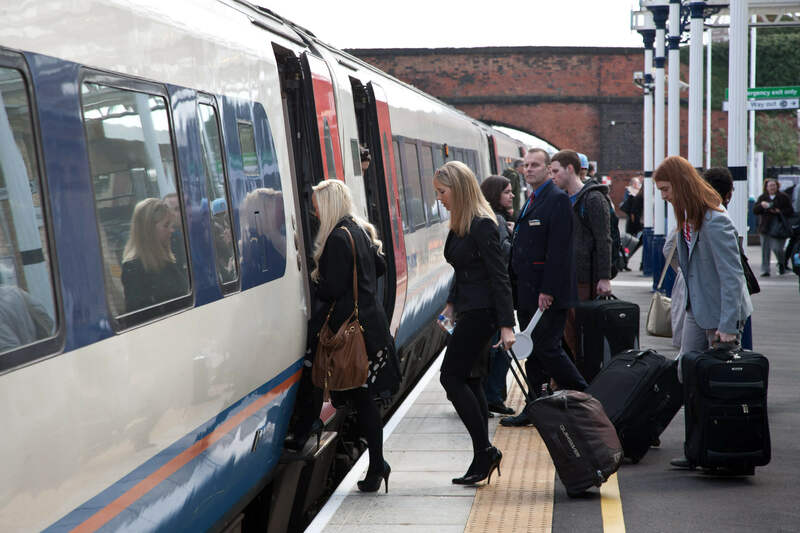 Whether that is making short journeys within the city limits or connecting Nottingham to London and the rest of the country for both work and play – rail offers an alternative to car usage. The £60m redevelopment of Nottingham Station has created a new gateway to the city for its citizens and for visitors. 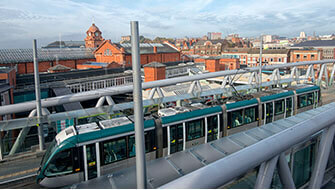 The station is now a key hub for travel in the city connecting the train seamlessly with the tram and bus network. While Nottingham City Council isn’t directly responsible for the development of local rail services we regularly meet with the rail companies and Network Rail. We also respond to industry consultations where we make our feelings known as to what Nottingham and its residents need in terms of a rail service. We will continue to lobby for improvements to our rail services, and aim to improve journey times to all of the core cities, in addition to reducing the journey time to London to 90 minutes – whether this is via HS2 or as part of refurbishments to the Midland Mainline. 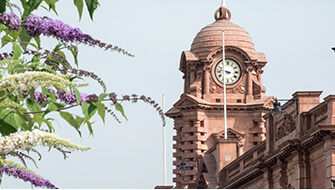 For up to date information on rail services and timetables, please visit the East Midlands Trains which provides the majority of Nottingham’s rail services. In addition Cross Country and Northern Rail also provide services from Nottingham. HS2 will help better connect Nottingham to the rest of the country.